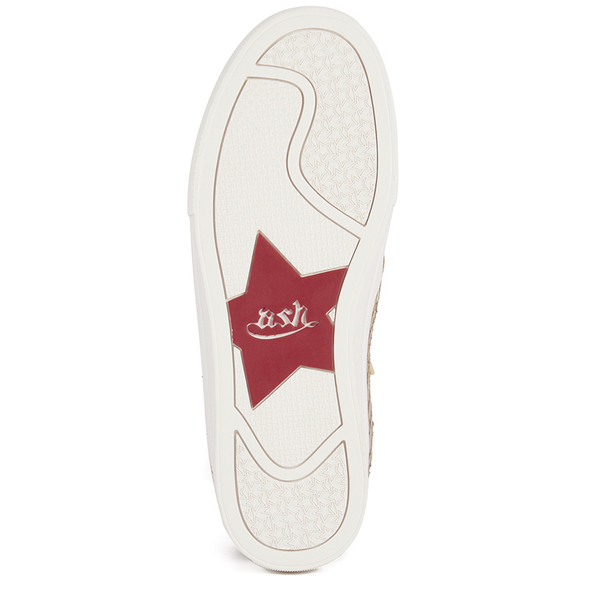 Women's slip-on trainers from Ash with python effect leather upper and smooth, tonal trims. Set upon a durable, double height sole, the skater-inspired 'Jordy' trainers combine fashion with function, featuring a rounded toe, side zip detail and a padded collar for comfort. Complete with padded insoles and leather lining. Upper and Lining: Leather. Sole: Rubber.